Could not make it to the panel discussion? We have got you covered. Simply fill in the short form below and we will send you the link to the webinar recording via email. Solution Architect and Security super-freak for Protiviti in Virginia. 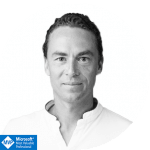 Eleven-time SharePoint MVP focusing on Architecture but also crossing the boundary into Development. With over 20 years of business & technology experience, Dux is the CMO & Public Sector CTO of AvePoint. He has successfully driven digital transformation initiatives for commercial, educational & public sector organizations worldwide. Chris Givens is an entrepreneur, architect, developer, trainer, author, speaker and Microsoft MVP that has worked in technology for over 21 years. He is currently a Sr. 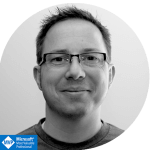 Cloud Security Architect for Solliance.net and maintains his CISSP, CCNP and various Microsoft cloud certifications. 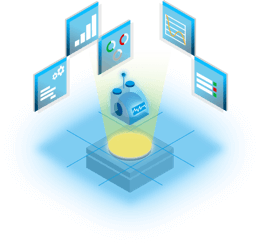 Waldek is a Microsoft MVP and Product Owner Customization Governance at Rencore. 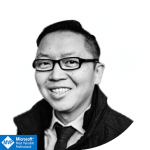 He reinforces our product development adding loads of business experience from working as a SharePoint consultant for more than 10 years. Microsoft’s Office 365 and Azure platforms are among the fastest growing cloud environments on the market, and yet even with record-setting growth, cyber-security remains the top concern of organizations considering moving all or part of their on-premises environments to the cloud. 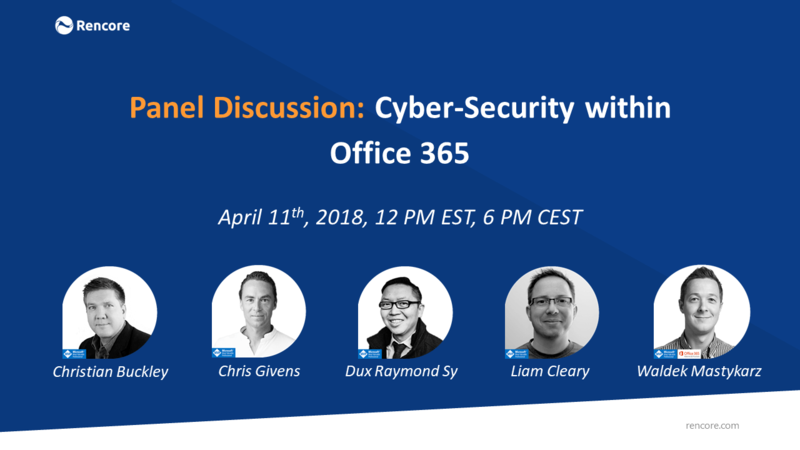 Join us on April 11th for a panel discussion on the issues, challenges, and blockers associated with the adoption of Office 365 and Microsoft Cloud technology due to cyber-security concerns. Based on new research by CollabTalk LLC and conducted by the Marriott School of Management at Brigham Young University (BYU), this all-MVP panel will take a look at the findings and results that stuck out most. The panel discussion will be moderated by Christian Buckley. 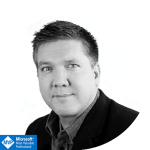 Christian is a 6-time Office Servers and Services MVP, internationally-recognised collaboration expert, consulting CMO and researcher and founder of CollabTalk LLC, an independent analyst and technical marketing services company based in Salt Lake City, Utah. We are looking forward to join us in April for this important discussion and participate in the live Q&A. Every attendee will also get the chance to download the free research exclusively before the official publishing date.